Parents may say they want their children to grow up to be successful, but what parents do can inadvertently put their kids on a path toward financial failure. Send the wrong signals or provide a poor example, and you could help your children become adults who spend too much, live paycheck to paycheck, and struggle to save money. And they'll hit you with those five words no parent wants to hear: "I got it from you!" If you want to set your children off toward a good financial life, avoid these 10 common mistakes parents often make with money. © Provided by Cheapism VGstockstudio / Shutterstock New parents often make the mistake of spending way too much preparing for the baby's arrival. We get it. You're about to become parents, maybe for the first time, and you've never felt happier or more excited. In your euphoric state, you walk into a big-box baby store — and feel like you're ready to buy one of pretty much everything. Oh, baby! That's an impulse you want to resist, especially if one of you will be taking extended unpaid leave to care for your new child. Instead of running up your credit card on infant items, ask family members and friends for hand-me-downs they might be willing to give you for free. Then, check Craigslist, eBay and other sites for lightly used and cheap baby gear. © Provided by Cheapism Anna Kraynova / Shutterstock Children who are indulged can be set up for financial disaster later on. Once the kids arrive (and are so adorable! ), it can be hard to say no to them — especially if they're willing to throw a fit to get what they want. But giving in and indulging their every whim is one of the worst things a parent can do. Delayed gratification is an important lesson, and children who aren't taught how to master it will be in for major disappointments and even financial disaster later in life. Instead, teach your children financial responsibility. Show them that something worth having is worth saving up for. © Provided by Cheapism Myroslava Malovana / Shutterstock Children often pick up parents' bad financial habits. One thing about children: They're always watching. If you struggle to keep your financial life in order or tend to live beyond your means, your children will almost certainly form the same bad financial habits. 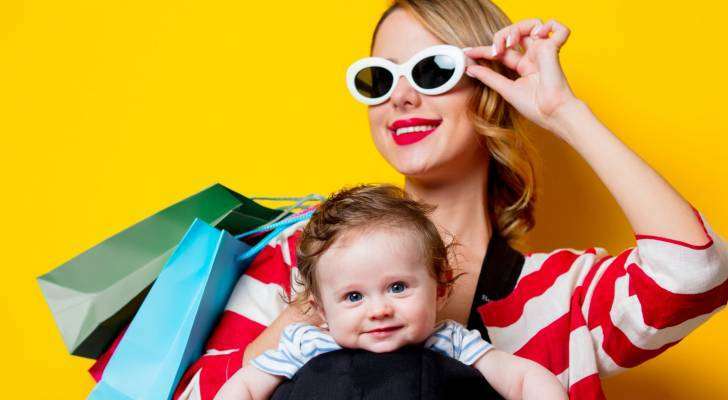 A 2017 survey from investment firm T. Rowe Price found that parents who've been through bankruptcy or have had major credit card debt are more likely to have kids who spend money quickly and expect moms and dads to buy them everything they want. Remember that you are your children's best financial teacher. If you don't feel confident in that role, you may want to devote more time to reading articles like this one. © Provided by Cheapism Tatyana Dzemileva / Shutterstock Parents need to take care of themselves, too. One of the most common mistakes many parents make is focusing all of their time and money on whatever it takes to keep their children happy. Spending on yourself every now and then may seem selfish — but it's not. You deserve to be happy, too, and it can make you a better parent. When they grow up, your kids may forget the time they got that new iPad or the really cool sneakers. Memories of the quality time they spent with their parents are much more likely to stick with them. It's a mistake for parents to assume their kids will learn about money matters in school. In a 2018 T. Rowe Price survey, 4 in 10 adults said they'd received no formal financial education when they were younger. If you want your children to enter college knowing how to make a budget or balance a checkbook, you're going to have to teach them those basic financial skills yourself. As early as you can, tell them about the importance of saving. Later, when they're old enough to understand, discuss debt, budgeting, financial planning and how to establish credit. You don't want them going out into the world and learning those lessons the hard way. © Provided by Cheapism Ruslan Shugushev / Shutterstock Many kids grow up without understanding the value of money. © Provided by Cheapism Leszek Glasner / Shutterstock You shouldn't have to pay your kid to keep his room clean. Giving your kids an allowance can be a great way to teach them that money should be earned. Even so, it can be a bit tricky to decide how to explain what the money is for. T. Rowe Price found 83% of parents paying an allowance thought the kids should earn the money doing chores. But experts going all the way back to best-selling Dr. Benjamin Spock have said that's an approach that sends the wrong message. Instead of rewarding kids for routine tasks they should be doing anyway, like cleaning their rooms, save the payments for above-and-beyond jobs, such as raking up all the leaves in the yard. © Provided by Cheapism GolubaPhoto / Shutterstock Many parents are behind on saving for college. At four-year private colleges, average tuition and fees for the current academic year are a staggering $35,830, the College Board says. But student loans giant Sallie Mae found parents have saved only around $18,000 for college, on average. And, 4 in 10 parents don't save for college at all, Sallie Mae reported. College will be here before you know it! State 529 college savings plans offer an easy way to put money aside for higher education — and score some tax breaks. Remember, whatever you're able to save will reduce the amount your children are likely to have to borrow using student loans. © Provided by Cheapism Oksana Kuzmina / Shutterstock If you have inadequate life insurance, what happens if something happens to you? More than 40% of American adults have no life insurance, the trade group LIMRA says, and more than a third of households say they'd be in financial trouble within one month if the primary breadwinner died. While it's tough to have to think about your own mortality, making sure you're adequately insured is one of the most thoughtful gifts you can give your family. If you contact an insurance agent or research and buy life insurance online, you can help protect your loved ones from worry, stress, or even bankruptcy — no matter what. © Provided by Cheapism Iakov Filimonov / Shutterstock Parents often sacrifice their retirement for their children. One-third of middle-income Americans don't save any money in a 401(k) or other retirement account, a 2014 Wells Fargo study found. Though retirement may seem far off to a parent of young children, it can literally take a lifetime to sock away adequate funds for retirement. Don't make the mistake of overindulging your children at the expense of investing in your own future. Getting a good and early start on retirement saving gives your money the opportunity to grow, and will help you avoid becoming financially dependent on your children when you're older. More young adults are still living at home. The Pew Research Center reported that 15% of 25-to-35-year-olds were living with their parents in 2016, up from 10% in 2000. If adult kids are still in your very comfortable nest, having them leave is vital to their financial well-being. Start by talking with them about goals and having them cover their own bills, such as their cellphone costs. Work toward having them become financially aware enough to be able to cover larger expenses, like rent. If you choose to continue helping with college or other expenses, don't hesitate to attach stipulations, such as requiring your adult children to hit a minimum GPA or get some kind of job.